Do you wish you could skip trying to find a convenient hair salon? Or do you not know how to fit a hair appointment into your schedule? Or do find that the expense is just too much to make an appointment? If so, you will find this article to be a hair lifesaver! This article includes everything you need to succeed in applying salon-quality hair extensions at home. A video demonstration, materials needed, and a step-by-step guide is waiting for you. Stop wasting your precious time and money. Become your own stylist today. 1. Begin by making a clean part where you would like to place the extensions. Clip hair to hold the part in place. 2. 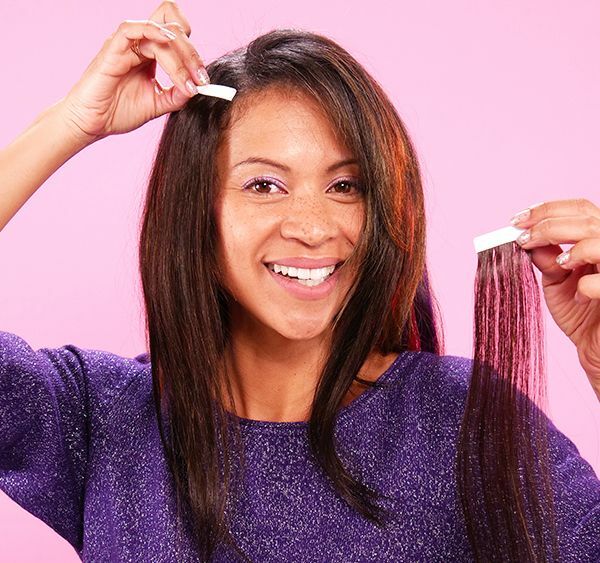 Remove the adhesive backing from the hair extension. Apply, adhesive-side down, onto the hair near the part-line. 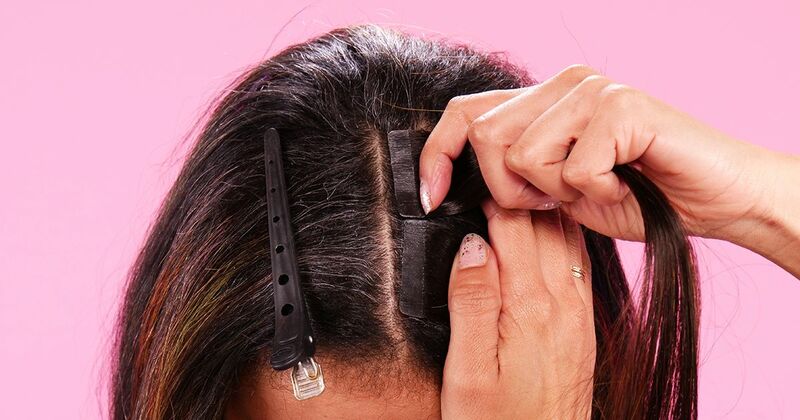 (Keep the adhesive strip approximately 0.25 inches from the hairline and 0.25–0.50 inches from the scalp at the part-line.) Do not stick any part of the adhesive strip directly on the scalp. The hair will not be able to move naturally. 3. Gently lift the applied hair extension. Using the end of the rattail comb, separate your natural hair from the adhesive tape. You do want a small amount of your natural hair to remain on the adhesive. 4. Take a second, tape-in extension and remove the adhesive backing. Apply to the bottom, adhesive strip of the first extension. Be sure to align the adhesive strips and press to seal. 5. Repeat steps one through four to add as many extensions as you like. You can apply colorful and natural-colored hair extensions for added flair. 6. Use the hair-cutting razor to add texture to the hair extensions. Holding the razor horizontal to the hair, use short strokes to run the razor through the extensions. Repeat until the extensions reach the texture and thickness you prefer.